The Allegheny County Democrat Party in Pennsylvania has forced the resignation of its executive director after just one month on the job, for a pair of social media postings, including one expressing reverence for the American flag and Christian cross. The party hired Marine and Gulf War veteran Mark Salvas as executive director in September, CBS Pittsburgh reports, but asked him to resign last week after uncovering a year-old Facebook post declaring, I stand for the flag, I kneel at the cross; and a July post in which his wife sought donations for the legal defense of a police officer accused of fatally shooting an unarmed black teenager. This whole entire situation is awful for all involved, Cindy DeZort-Salvas wrote, according to Pittsburghs local NPR affiliate. But I personally know this family, and they are good people. Family helps family. They were there for me and I am there for them. The Salvas have a biracial child and other black relatives. In addition to an expression of patriotism and faith, the kneeling comment was taken as a rebuke of NFL players who have knelt during the National Anthem at the start of games, a gesture meant to protest to the alleged racism of America generally, and police specifically. Officer Michael Rosfeld, meanwhile, has been charged with criminal homicide for the death of 17-year-old Antwon Rose II, who was attempting to flee a June 19 traffic stop. Rose was a passenger in the car, which the police suspected of being involved in an earlier shooting. If convicted, Allegheny County District Attorney Steve Zappala says Rosfeld could potentially spend the rest of his life in prison. Elected Democrats from the district have been much more vocal. State Rep. Jake Wheatley applauded county Democrat chair Eileen Kelly and others for making a swift choice between the wishes and aspirations of the base of their party, and an individual who was clearly tone-deaf to the region." Yet Salvas stands by both posts. Im not ashamed of my patriotism, not one bit. I fought for this country. I think I have a right to have a voice and be patriotic, he told CBS, adding that he also recognizes athletes right to take a knee. Its never easy when people you have never met accuse you of things and call you names, and youve never met them, he lamented. The most recent posts on the Allegheny Democrat Partys Facebook page have been met with numerous commenters angered by Salvas firing. SO the dems [sic] are against FREEDOM of RELIGION? one asked. Hes a vet who spoke his mind and that is obviously no longer allowed in the Democrat party, another lamented. They stand for satan and kneel at the state. This story says all one needs to know about the current state of the Democrat party. 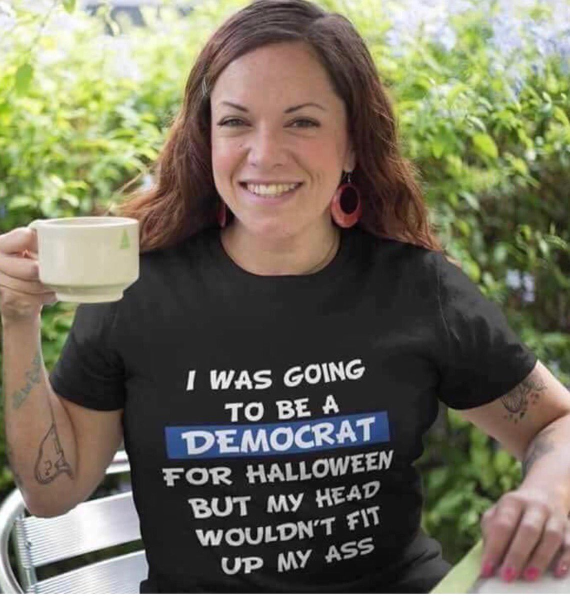 So then why are you a democrat???? NFL gets my wrath until they side with Americans, not political players trying to insult the US and the President/. Then why is he a democrat ? Boy is that the $ 64,000 question! It’s not like the dems roll out the red carpet for patriots and Christians. The Democrat Party pledged allegiance to Satan in 2012. Christians should not be in the Democrat party and need to come out or they will be infected. The party hired Marine and Gulf War veteran Mark Salvas . .
Because they needed to deceive enough "moderates" to win some elections. A lot of Democrats are low-info types who just vote Democrat because their parents and grandparents voted Democrat. These are the people who have to be reached and alerted that the Democrat Party leadership they support is now a bunch of corrupt fascists. I stand for the Flag and kneel at the Cross. He should not have resigned. He should have made them fire him. Nice. This guy likes US flags? He can collect thousands of them in the trash once the cameras turn off the DNC delegates at their conventions. Like demons they flee before the Cross of Christ.